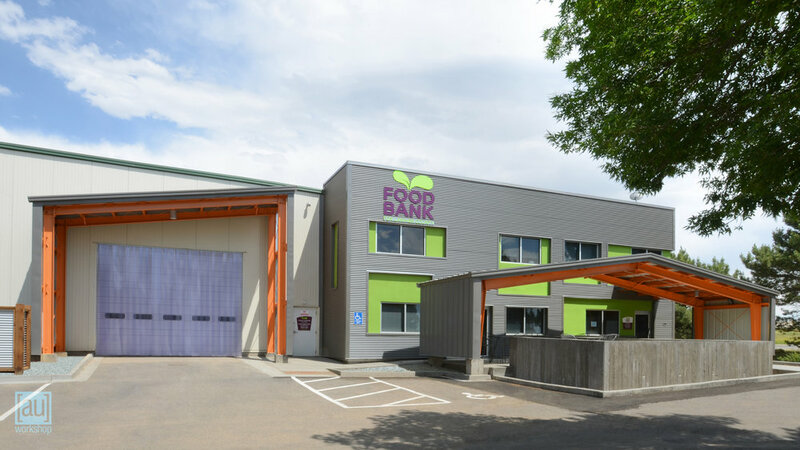 We were approached to renovate an existing warehouse building to better fit the Food Bank's expanding needs. 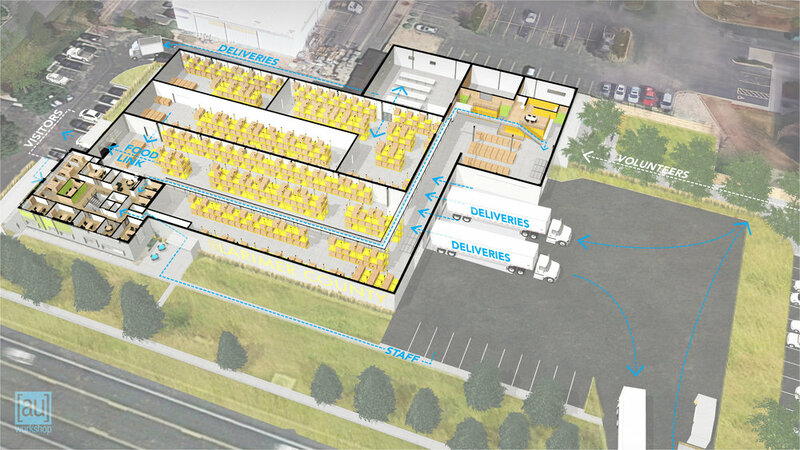 As such, our solution foremost organizes a maze of programmatic and equipment relationship requirements that are necessary to maximize both employee and volunteer safety, efficiency, and comfort. At the same time, because we believe that good design does not have to be expensive and should be available to everyone, even non-profits, we also aimed to introduce some fun spaces into the pragmatism of the existing building. 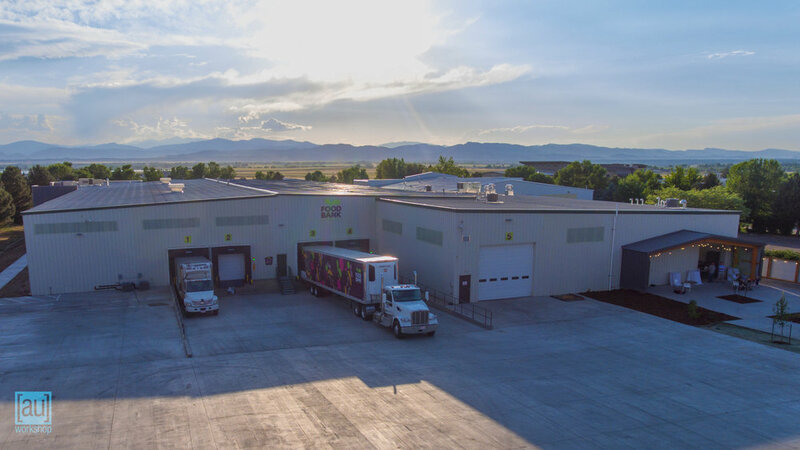 By keeping the vast majority of the existing enclosure and plumbing in place, but selectively demolishing elements to clean up the exterior and open up the interior, we were able to keep the project cost-effective while allowing plenty of room for future growth. 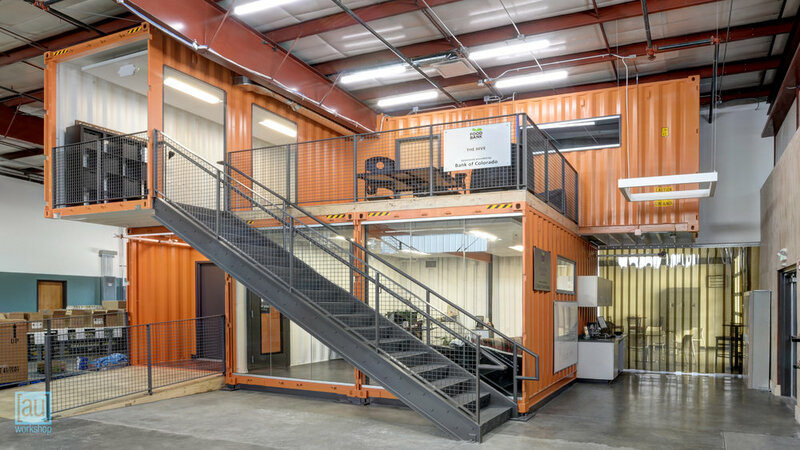 In the warehouse, the addition of several used shipping containers divides the volunteer areas into separate programatic zones, while also providing rooms within the units themselves and a pop of industrial color. 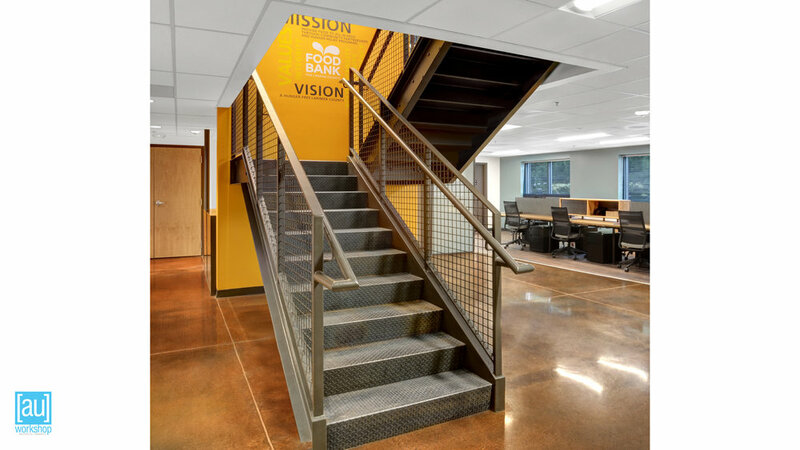 In the administrative areas, an open central stair unifies the two previously cloistered office areas, while exposed and painted ceiling elements raise the ceiling height and add some industrial charm. 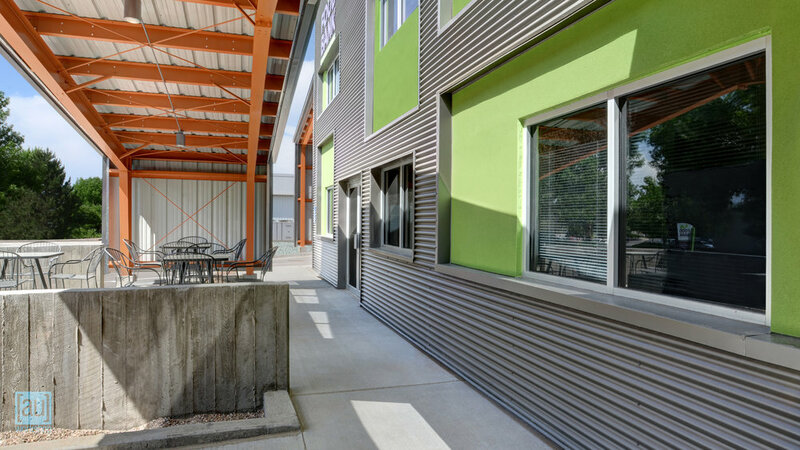 On the exterior, we arrived at a cost-effective, extremely low-maintenance facade consisting of corrugated metal panel, paint, and stucco over the existing split-face CMU. 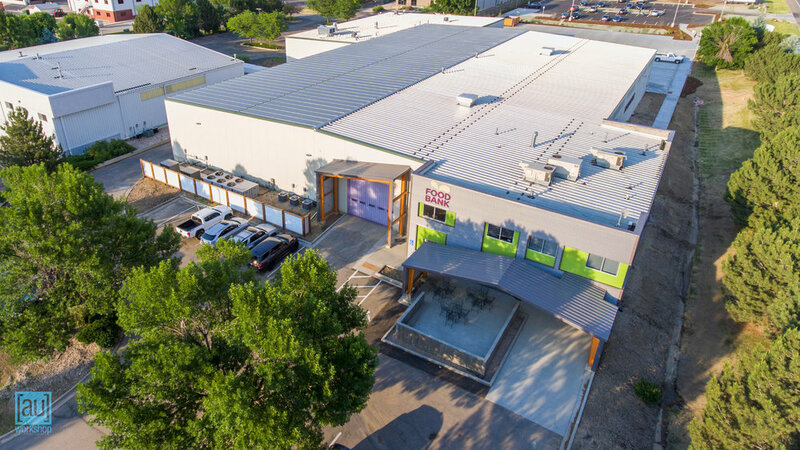 A series of pre-engineered steel canopies create a village of welcoming portals, while subtly referencing the butler building construction of the warehouse itself.